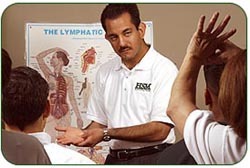 With massage training in Houston, you can become a licensed massage therapist in as little as 8 months. The Houston School of Massage offers quality professional massage training that combines mastering the power of touch and learning sound business practices, which allow our graduates to succeed in the marketplace. Our massage therapy school enjoys the opportunity to provide the exceptional sort of instruction which can only be achieved by means of having skilled, experienced, and outstanding instructors that love to teach and make the learning experience fun. The study of the structure of the human body including the bones, joints, muscles and all body systems. The study of the functions of the various systems of the body. The study of the fundamentals of the musculoskeletal system and biomechanics. The students will learn specific palpation of each muscle and its attachments as well as the actions it produces. The study of human disease and the effects of the disease. This course will deal with types of diseases, agents of disease, modes of transmission, risk factors for disease, contraindications, and indications for massage. The study of sanitation, cleanliness, disease prevention, self-care techniques and personal and professional skills necessary to work with the public. The study of standard bookkeeping, accounting, office practices, marketing and the ethical standards for massage therapists established by law or the Texas Department of State Health Services. The use of generally accepted methods of external applications of water in the form of either heat or cold. The internship program at our massage school in Houston begins after the successful completion of the first 250 hours of massage therapy training. The internship program is a supervised, hands-on program in which students provide massage therapy services to the general public. All 50 hours must be hands-on.